One of the basic principles studied when practicing the nine angles of attack regarding external blunt trauma striking is that power can only be transferred one of two ways. When you stop on the target at the point of contact with the target then no or very little power gets transferred. When practicing the nine angles of attack first practice swinging all of the way through the target from one side to the other in the cases of angles one through six so from extreme right to extreme left or vice versa and from up to down and from down to up in the cases of angles seven and eight. The next way to practice the nine angles of attack is to bounce the strike out and back in at a point midway in front of you. Practice doing it where you throw an angle 1, 3, 5, 7 and 9 then an angle 2, 4, 6 and 8. If you look at the possibility of strikes using each hand once and either retracting from a bounce or striking through then you have approximately 17 possibilities with each arm / hand multiplied by the same number of possibilities with the other hand. So 17 X 17 = 289. If you throw either hand one more time then you have another 17 minimum possibilities for a total of at least 4,913 options just by using these nine possible basic moves with either a pull through or a retraction. One of the major secrets of so-called Karate blocks is that they are not blocks at all but are in reality pressure point strikes. The only way for them to be effective and actually work is for the practitioner to do as I have stated above. This may seem strange since most Karate forms strike or throw a block and then stop. This method of stopping the motion at best was only meant for very new beginners to learn the kata patterns and at worst it is an outright deception that is intended to keep non-devotees in the dark regarding the actual applications of the art. There is unfortunately a lot of this and it is not limited to Karate. The idea that these pressure point strikes are blocks is something that crept into the teaching of the Karate katas in the 1960’s. I have spoken with more than one person who trained in the 1960’s who have personally stated that one day they were learning the moves as pressure point strike and at the very next class they were being taught as blocks without any mention of how or why this came to be and without ever again mentioning the reality of the moves as pressure point strikes. Anyway, one last word on the nine angles of attack. 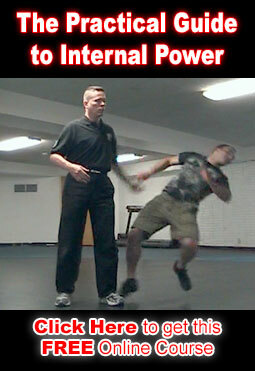 If you look at an angle 2 it moves in the same manner as an upward block (pressure point strike) in traditional Karate. If you look at an angle 6 it moves like a downward block in traditional karate. If you move your arms pulling in behind yourself with a angle 3 and 4 and then move your hands back out in front of you with an angle 3 and 4 then you are performing another Karate hand move. In fact with the nine angles you can achieve every karate hand blocking (really striking) and striking moves in the majority of Karate styles all of the way up to the 3rd degree black belt. Not bad for a little nine move set that can be easily learned in just a couple of hours.